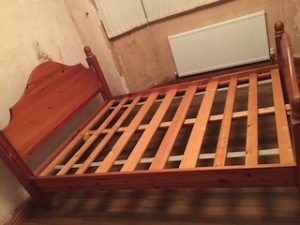 House Clearance Service In All Areas Armley Bramley Stanningley Farnley Wortley Kirkstall. Hi , I may have a house for you to clear soon. 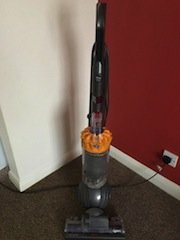 Do you do complete strip of everything including carpets I mean everything including contents of outbuildings the lot so nothing left just bare walls in every room in a house? What do you charge for this obs some of the stuff you clear will be worth money ! 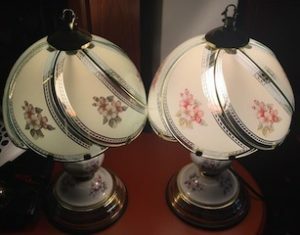 A pair of brass and ceramic table lamps on circular wood bases, each with a floral patterned glass shade. 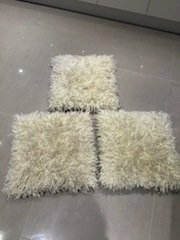 A set of three square cream shaggy sofa cushions. A white Zanussi 1200 spin under counter washing machine. 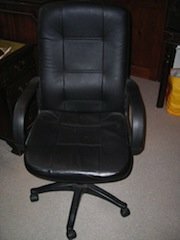 A black high back desk chair on four legs and castors, upholstered in black faux leather. 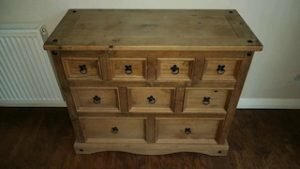 A Corona Mexican pine merchant chest, having four small over three medium and two large drawers, with iron handles. 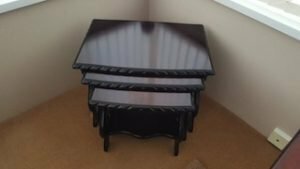 A vintage nest of three mahogany side tables. 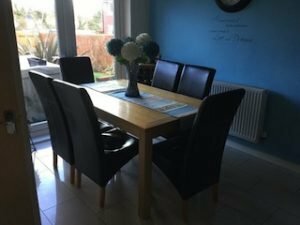 A light oak rectangular dining table, together with six high back dining chairs, each upholstered in black faux leather. 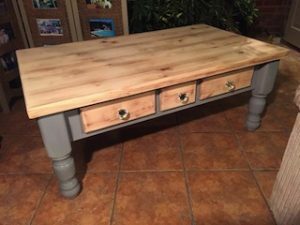 A hand painted grey solid pine coffee table, having two large and one small drawer to the side, with crystal knobs. 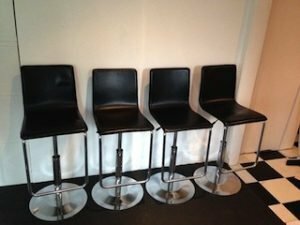 A set of four chrome based swivel bar stools, each upholstered in black faux leather. A hand painted cream solid pine dressing table stool, upholstered in silver crushed velvet to the seat. 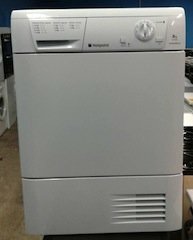 A White Hotpoint 8kg under counter condenser dryer. 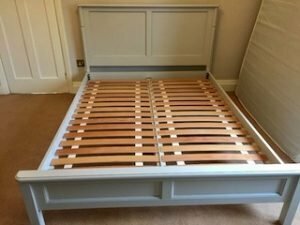 A hand painted white solid pine double bed frame. 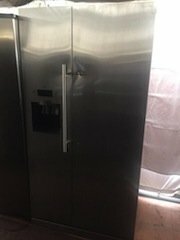 A stainless steel Samsung American style fridge freezer, with built in water and ice dispenser. 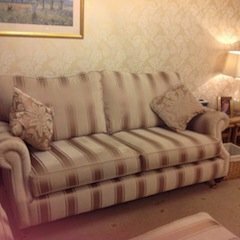 A two seater high back sofa on oak legs and brass castors, upholstered in grey and cream striped satin.